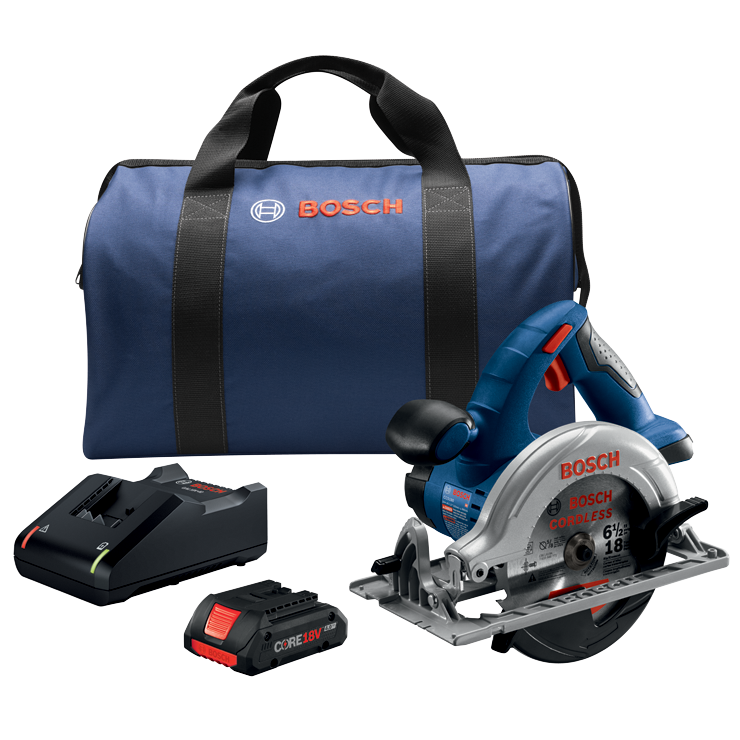 The Bosch CCS180 18 V 6-1/2 In. 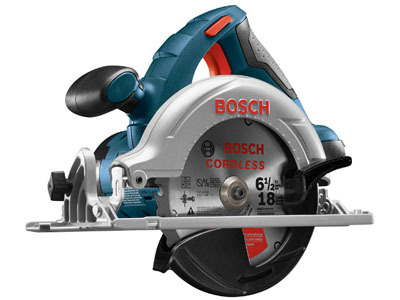 Circular Saw easily cuts through 2 In. 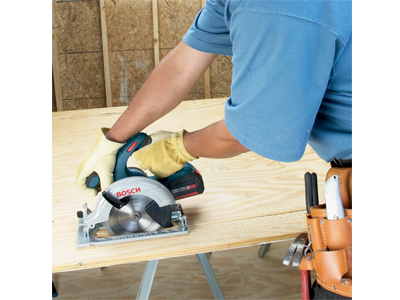 material, including wood and decking, for professional cuts in difficult areas. 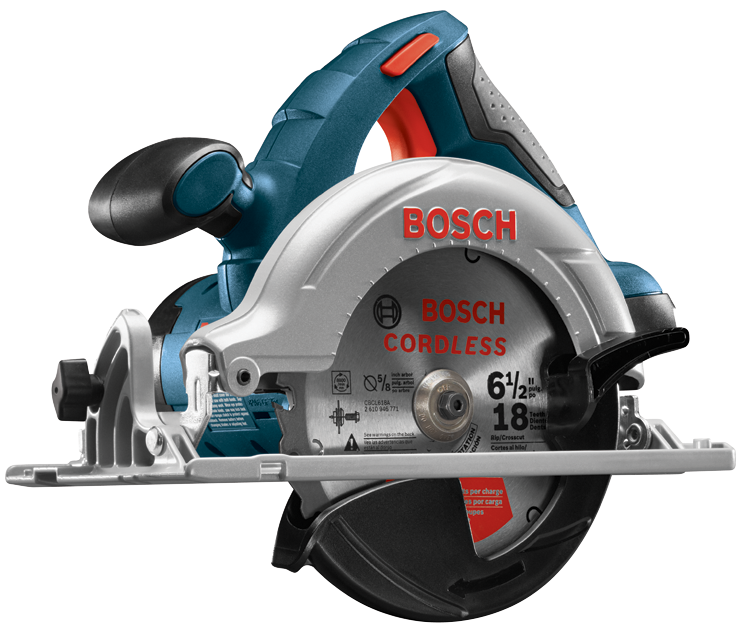 The cordless saw includes a 50° bevel for added versatility, a simple straightforward depth gauge and bevel scale, and an anti-snag lower guard to ease into the cut. 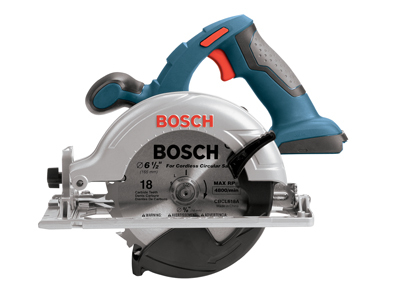 With a weight of only 6.6 Lbs., this power saw is an excellent choice pros such as roofers, framers, or deck-builders who often have tough cuts in close or difficult spaces. 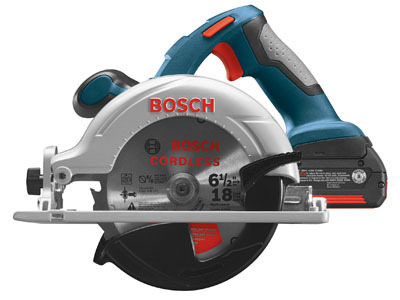 An electronic brake stops the blade quickly for reduced down time between repetitive cuts. Max. Depth of Cut at 45 Deg. 1-1/2"